Father’s Day is in one week! Any of you out there ‘last minute’ shoppers? I’m usually not, but some years simply fly by too fast and I’ll scramble at the last minute to make sure the hubby feels special on the father of all days. Especially those that are hard to buy for, like my hubby happens to be. Aren’t they cool? No pun intended, being that they can be used for both cold and hot drinks. They are double walled, so your hands won’t get too hot or cold when you are drinking from them. They also don’t initiate that pesky condensation on the outside of the glass, so if an errant guest forgets to use coasters (or the man cave happens to be a ‘coaster free zone’) no worries for the furniture! 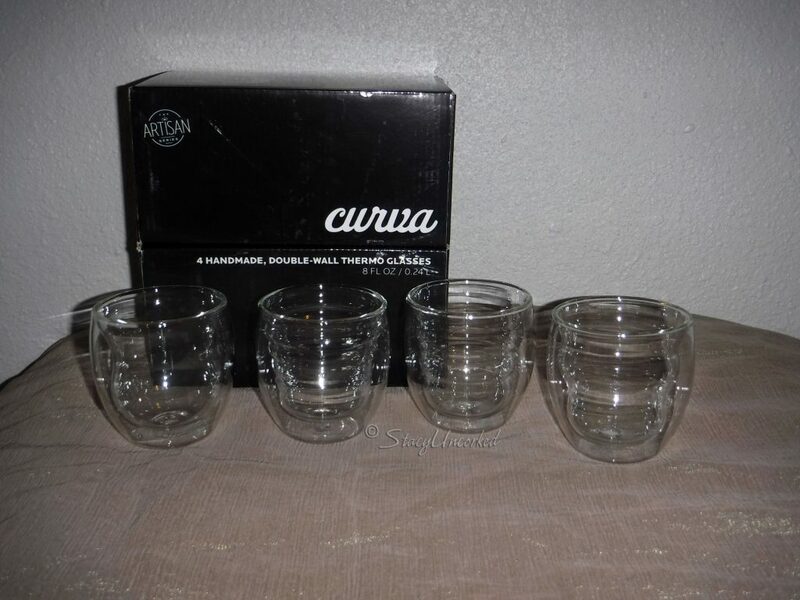 The glasses are in a classic tumbler shape that is really tactile and a pleasure to hold and drink from. Each glass has a unique inner shape – that might make it easier for the guests to keep track of which glass is theirs. At least one can hope. 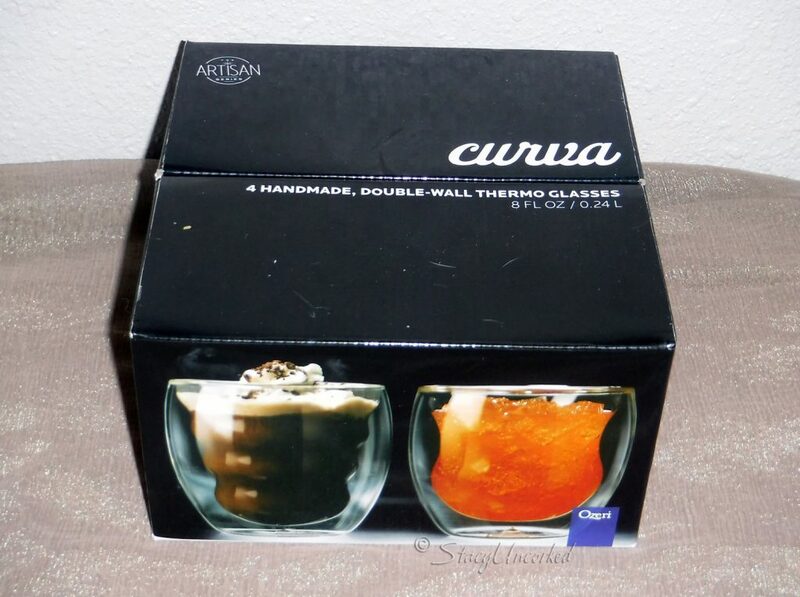 They are made from heat and shatter resistant borosilicate glass – I was actually pleasantly surprised that they’re glass, I honestly expected them to be made out of plastic, what with all the plastic glassware readily available. I wasn’t going to test their ‘shatter resistant’ mode, though, at least not on purpose. Should someone knock one over in the future, I’ll come back and update this review with the outcome. They are dishwasher, microwave and freezer safe, so their versatility is endless. I’ve tried a variety of drinks in the glasses now, they are great for hot coffee as much as they are for an icy cold drink, straight from the freezer. 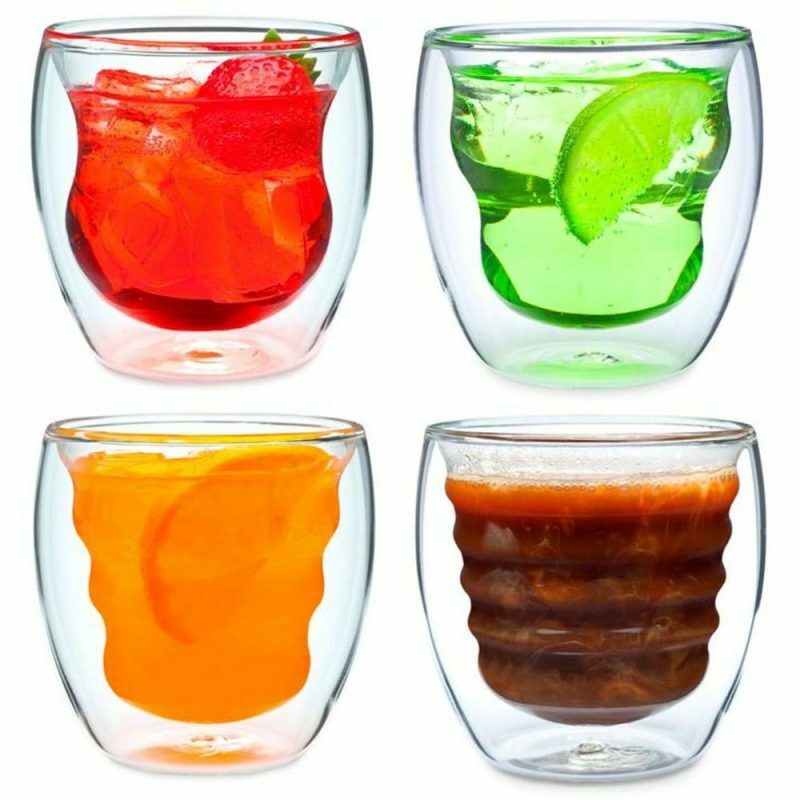 Not only is drinking from them enjoyable, but the way your drink appears ‘suspended’ in the glass is very visually attractive, making them great to use when you have guests you want to impress. 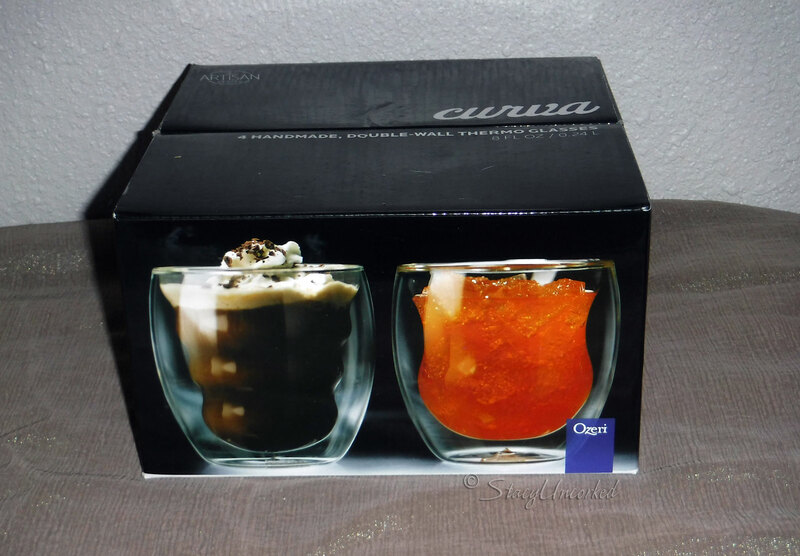 Ozeri Curva Artisan Glasses are available from Amazon, and are a good value for money for a ‘grown up’ drinking tumbler, or a lovely gift. 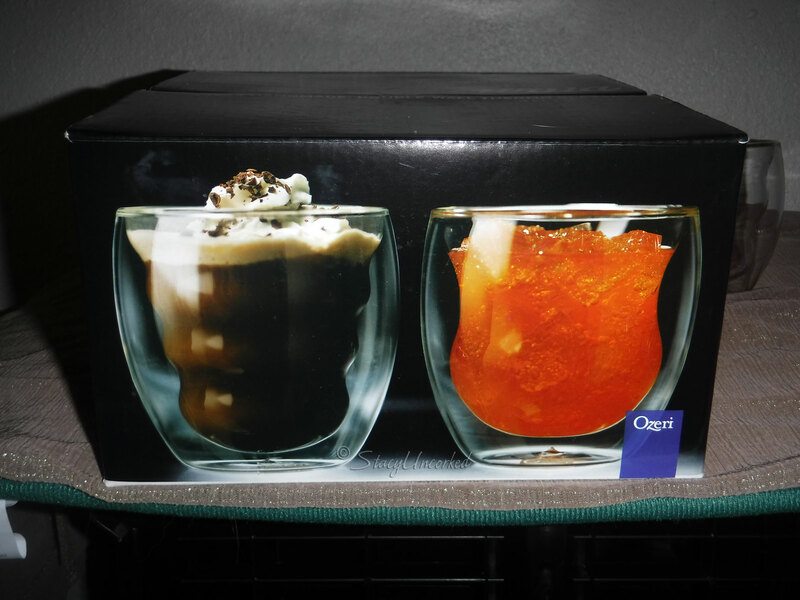 Thank you fuelmyblog and Ozeri for supplying me with the glassware to facilitate this review. No other compensation was received for this post implied or otherwise. The opinions are all mine and not influenced by any outside sources. See my Disclosure Policy here. 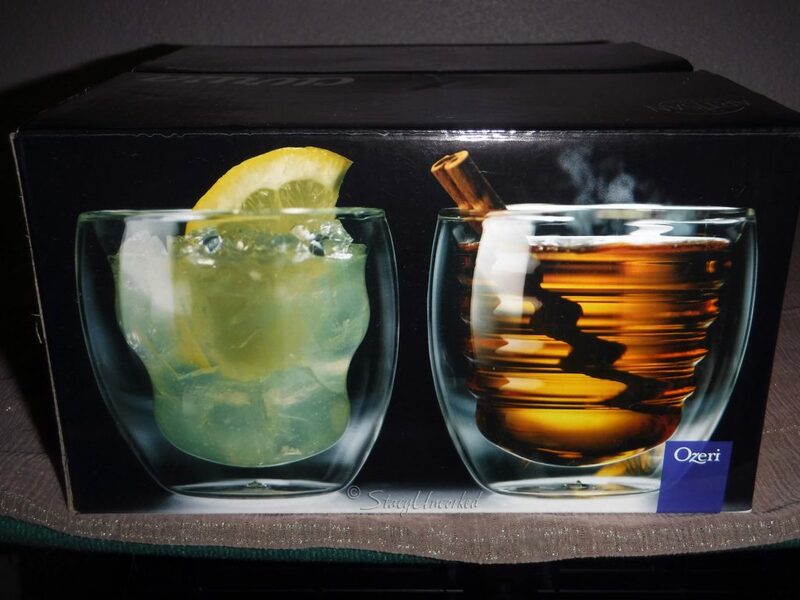 This entry was posted in Review and tagged artisan, Father's Day, Father's Day gift idea, Gift Idea, glasses, glassware, Review by StacyUncorked. Bookmark the permalink. Very nice, except that Brother-in-Law, The Mouth, would end up breaking them.